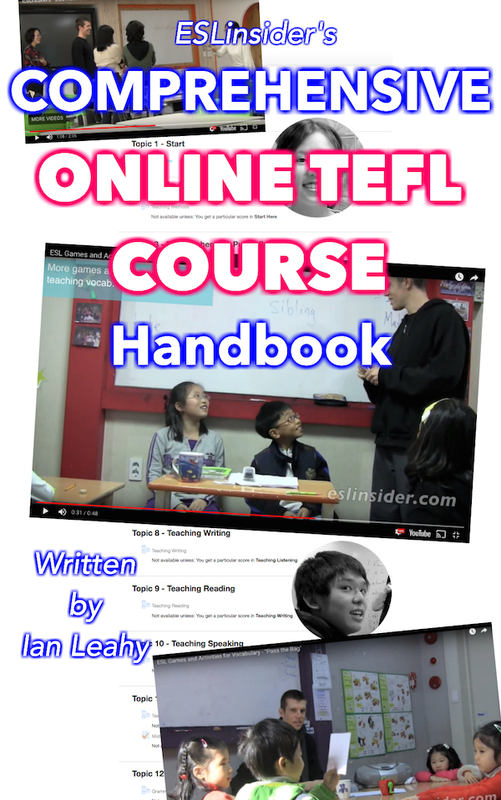 This online TEFL course handbook is a comprehensive guide to teaching English as a foreign language. It was built from the same foundation as ESLinsider's online courses. It's for the person who is seeking some instruction and guidance to teach abroad or someone who has taken a course and still needs help. This guide includes links to many videos as well as text.